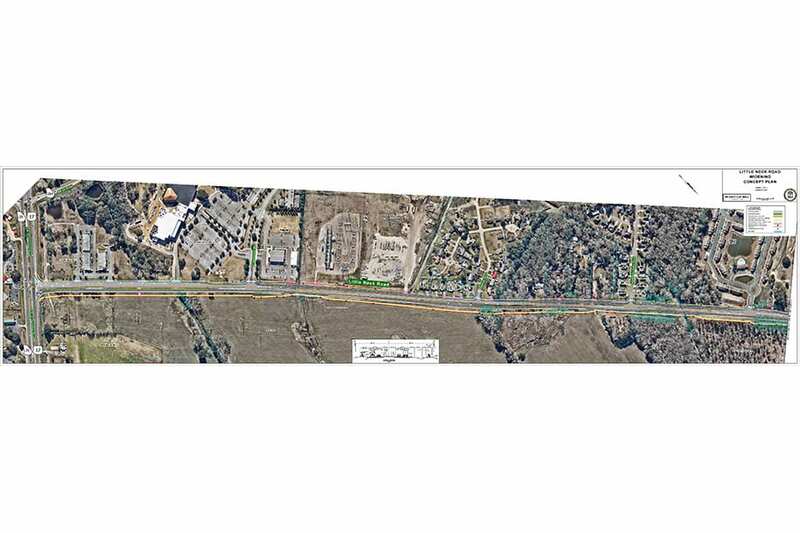 This project consisted of a 2.5-mile widening of Little Neck Road from a 2-lane, rural shoulder facility to 4-lane facility with bike/pedestrian facilities and rural shoulders. 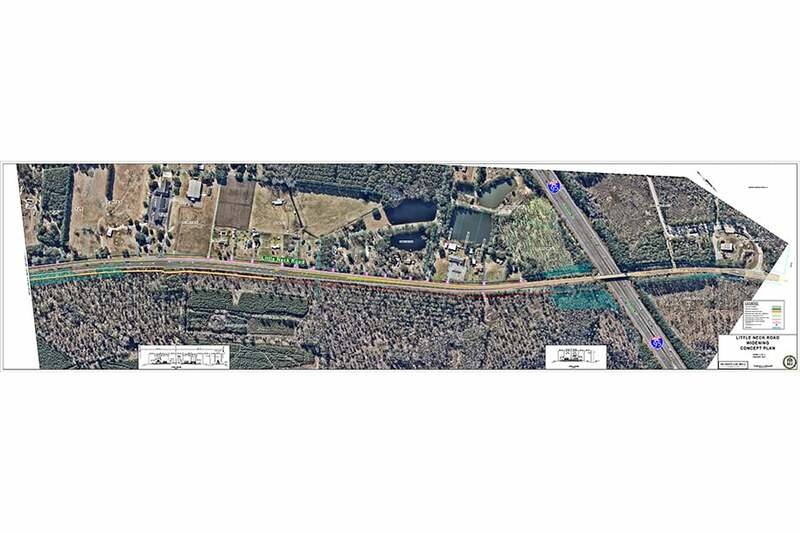 The project began at US Highway 17 and extended northwest along Little Neck Road to the Superior Landfill entrance just north of the I-95 overpass (2.5 miles). The project included concept development including survey, wetland delineation, traffic study, public involvement, pavement design, development of preliminary plans, right-of-way plans and final construction plans and permitting. Utility coordination with all utility owners within the project limits was managed by Hussey Gay Bell from concept through final plans. Completed in 2017, this 2.5-mile widening and rehabilitation of Little Neck Road from a 2-lane, rural shoulder facility to 4-lane facility with bike/pedestrian facilities and rural shoulders provided significant road improvements for commuters.